The Pork Chop Hill tee shirt label has been developed by three friends inspired by a local landmark on the cliffs above the Manawatu river. The area was once the site of a Rangitane pa called Te Motu o Poutoa. The site is elevated and has a great view over the city of Palmerston North, across the Manawatu flat lands and up to the Central Plateau. On a clear day, it's possible to see Mount Taranaki and Mount Ruapehu on the horizon. According to the New Zealand Historic Places Trust, most of the pa was destroyed when in 1962- 63 the Palmerston North City Council leveled the top of the hill to create a scenic look-out point which they named Anzac Park. The park was dedicated as a memorial to fallen soldiers from the local region. Anzac Park is the name seen on all the current signage. However, many locals have only ever referred to the area by its colloquial name, Pork Chop Hill. 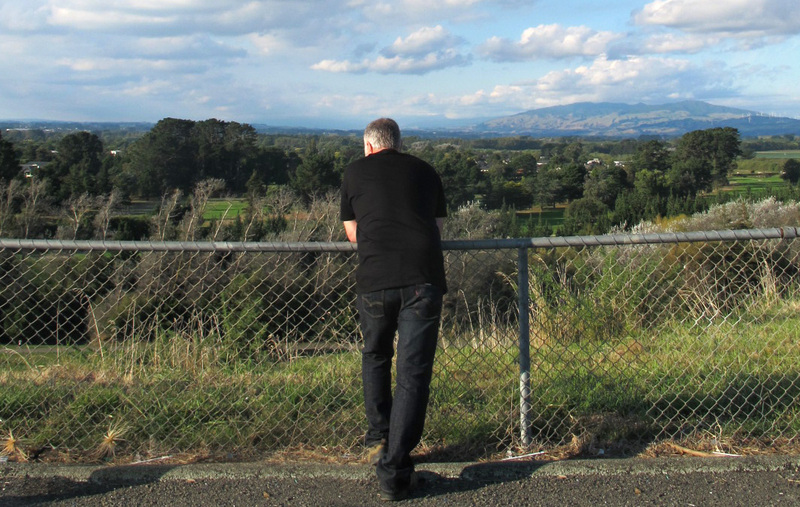 Although the location is still popular with the younger generation in their cars, vans and utes, there are plenty of others who visit just to contemplate the view, exercise, picnic, take ‘time-out’ or even reminisce about days gone by and times when this was the place to be when they were young. At the highest point of the hill, hidden from view by a stand of native bush, is a building that looks like a fortified bunker. This is the Manawatu Observatory, home to the Palmerston North Astronomical Society. They have the street address of 98 Cliff Road, Anzac Park.